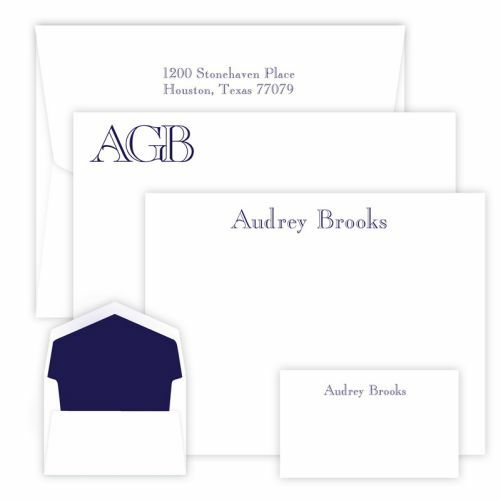 The Riverwood Wardrobe - Raised Ink includes flat correspondence cards, Apex cards, and gift enclosure cards all on our double-thick card stock. 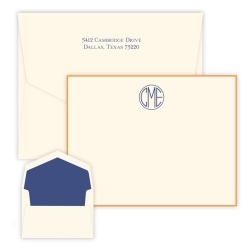 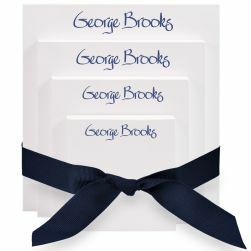 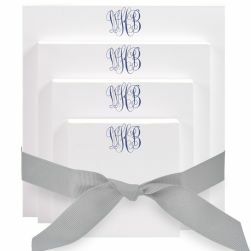 The Apex card offers up to five initials while the standard correspondence and gift enclosure cards offer one line of personalized text. 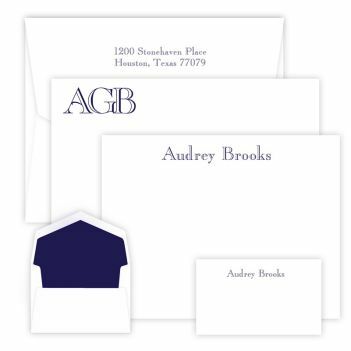 All printed in the shiny, raised ink color of your choice using our popular Riverwood lettering style.